Welcome to Dr. Evans' practice in clinical nutrition and dietetics. She provides objective, scientific answers for your nutrition concerns without ever endorsing any product or outside service. 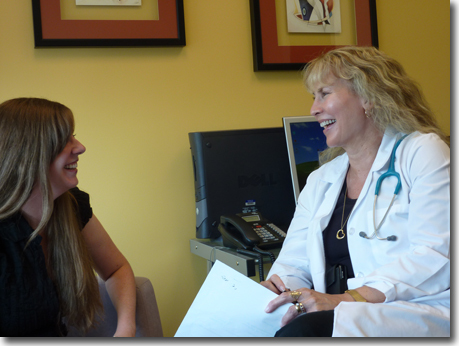 Dr. Evans is a private pay Registered Dietitian located in central Virginia. While her practice is primarily located in this geographic region, she works with patients and organizations throughout the United States. Please tour the site and let her know what you think. This page has been viewed 73773 times.